Last season, after one of my many visits to the Showroom Next Door, I reported on a new shoe find that captured your attention. The name Armando Cabral might have been familiar to you at the time, but the debut of his eponymous shoe collection made you see him in a fresh light. 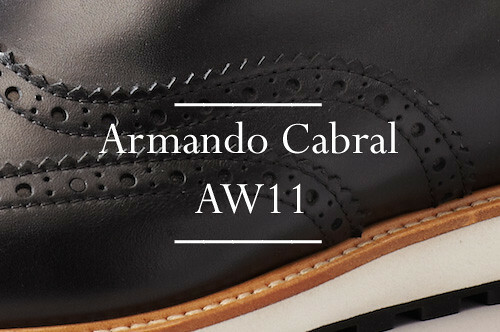 Now, Cabral is quite simply one of the most recognisable male models but having already made his mark on the catwalk, his namesake shoe range was the next step. The footwear line sees Cabral team up with Rucky Zambrano who spearheaded innovation and technology at Vibram before serving as Head Designer for shoes and accessories at Hugo Boss. Together, they make quite a team. The combination of Cabral's innate style and Zambrano's eye for design and attention to detail has created an elegant addition to the men's footwear market. The SS11 debut offered a full range of summer classics including desert boots, boating moccasin and woven sandals, all with an individual design signature and a colour palette that longed for the sunshine. For its sophomore collection, Armando Cabral takes inspiration from traveling, with a focus on Europe. Marking a continuity with the past season, there are classic sneakers, but these sit next to brand new designs which include boots inspired by the traditions of Northern Europe, and classic mountaineering styles that are ideal for the cold winter that no doubt lies ahead. 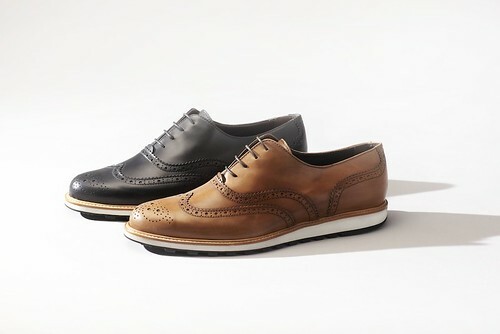 The reworked oxford. The style is much more subtle compared to some hybrids already on the market. The leathers are, just like last season, stunning. 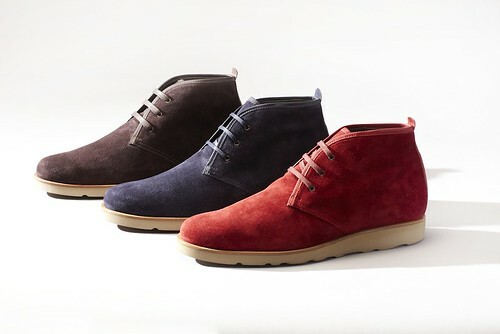 Reworked desert boots with flashes of colour. I have my eye on the Arsenal red pair above. Winter friendly boots that looked to Northern Europe for inspiration. Hand-made in Italy out of the finest leathers, the collection introduces a fresh perspective on traditional styles, ranging from re-worked oxfords to hybrid desert boots. 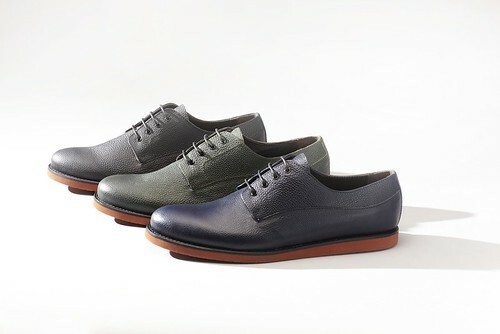 In only two short seasons, there is a sense that Armando Cabral is close to creating a fully rounded collection. The SS11 collection was devoted to the sunshine months and the AW11 collection prepares for a long, varied winter. Earlier this week, I flicked through Tommy Ton's selection of LFW snapshots over at GQ and was instantly struck by the parade of fresh, out of the box shoes. Was I the only person who didn't and instead preferred to wear an old favourite (my Kudu boots). Did I miss the memo? 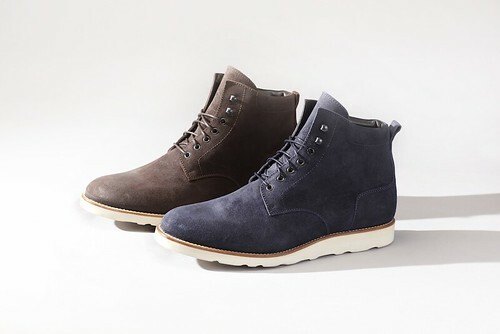 If I follow the masses in September, don't be at all surprised if you see me marching through puddles in a fresh pair of Armando Cabral desert boots.